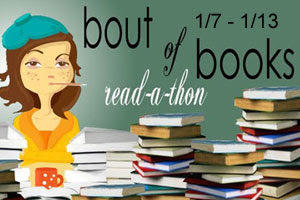 I would like to read every day of the Read-A-Thon. I would also like to read at least 5 hours every day. I want to start reading at 12:01 (or as soon as possible) Monday morning. I want to participate in half of the challenges offered which would around 5 of them. For my bestie I would choose Kami from Unspoken. She is just so innocent and nice and seriously hilarious. I would definitely love to have her as a friend. She is also extremely loyal to her friends and would do anything for them. Her friends are definitely an addition to her family and she is always looking out for them and doing all she can to make them happy. For my love interest I would definitely pick Daemon from Obsidian. He is seriously hot and I would love to deal with his annoying self any day of the week lmao. Even though he can be a jerk I can really see his sweet beside behind it all. Once he opens up he is truly a great guy and is extremely protective. He would definitely not let a thing happen to the one he loves. DAEMON!!! Love his cocky ways <3 But we'll have to agree he's real, honest, and very much human (except all those cool abilities of course). Awesome choices and yes, I have Unspoken on my TBR :) Good luck with the read-a-thon! Those are great goals! I love the answer to that challenge! Great progress on your goals. Keep having fun!